I saw the headlines a couple days ago saying "Bundy is a racist." My trained sniffer knew there was something amok within the elite press. I decided to wait for people I respect to weigh in before I look at the details. Bob Owens is someone I respect. I have found over the past year or so that I am in agreement with opinions and conclusions. So when he posted his April 24 article, Cliven Bundy's Racist Rant Lost The Public Relations War for Bundy Ranch, I settled in for the bad news. I watched the Bundy video that Bob posted, simultaneously reading Bob's article, and I felt a disconnect. Nobody has (yet) told me where I am mistaken. I feel confident now to say that Bob had it wrong. What got the national media involved was a smear campaign. A very late one. Long before this Domestic Terrorist knew the difference between Republican and Democrat, a gang of jack-booted thugs swarmed a group home in Waco Texas. With no political axe to grind then, I still remember one thing very clearly. Two days after the thugs got their asses handed to them by the residents, the nation's Attorney General justified the use of force, including the possibility of future force, on the idea that child abuse may be going on inside that home. Now mind you, child abuse is serious. But Janet Reno's actions were confusing on this issue. The urgency to use an army of men to attack a house suggests a seriousness. (They could have just knocked.) Waiting 51 days while said abuse could be going on - not so serious. Then, burning the structure to the ground (or letting it burn to the ground) with 76 inside - including the 19 potential child abuse victims - pretty serious. It was an obvious lie meant to distract from tyranny. 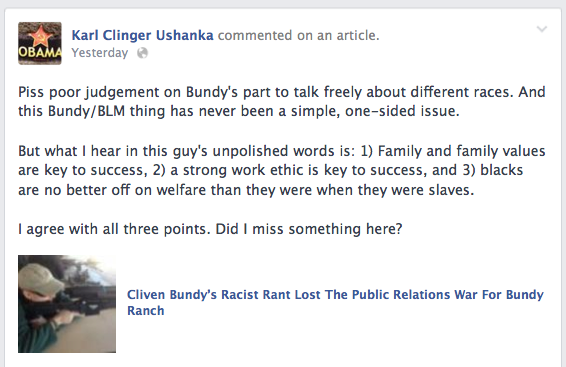 They are calling Bundy a racist for the exact same reason. They were quicker and better at distracting us in the early 90's. One is always caught flat-footed when attacked for the first time. 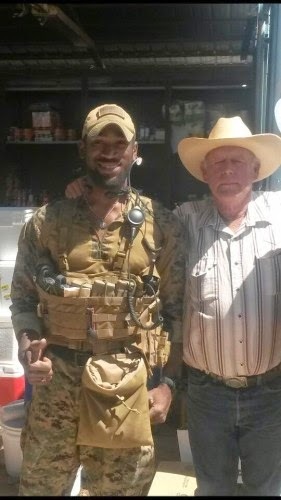 The BLM/Bundy story has been refreshingly different. Armed citizens saw the tyranny and responded. And name calling no longer works in our connected society. 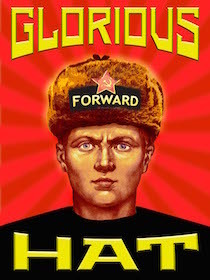 Social media should get some of the credit, but I'd like to tip my ushanka to my fellow citizens who've set a higher standard for FedGov's and the MSM's behavior. Hell, I’m black and I often wonder about the same about the decline of the black family. Bottom line is that we are all slaves in this waning republic, no matter our skin color. Mr. Bundy could have used any racial demographic as an example: Native Americans on reservations, whites in trailer parks, etc. He noticed the crippling effects of receiving government “assistance” and the long term result of accepting handouts. The biggest 2 differences between now and Waco: 1) Now we know FedGov will not hesitate to murder people by the bushel. 2) Now we have the ability to get real-time pics, video and audio from the scene to the rest of the world without being embargoed or spun by media or .gov agencies. The internet has restored 1A. It will be imperative in the future that we get the Truth out of hotspots ASAP, whatever the risks.